Our current coat of arms was adopted in 2012, and is the third to have been used. It uses a highway shield design divided into four. The tram and dirigible represent the history-based culture of Sirocco. The power pole represents Siroccan industry and business. Commonly known as the 'Peninsula', the design is of the Northland and Auckland regions of New Zealand coloured with the design of the flag. The 'Peninsula' is a common symbol in Sirocco. By an odd coincidence of design, the red-green border runs through Cambria. The Zonian Shield and Cambrian Cross represent the merging of Zona into Sirocco in March 2012. Sirocco's national motto is curved around the bottom of the shield. 'Nemine Contradicente', or 'without opposition', was adopted in 2010. Our flag was adopted in 2010, and was finally committed to fabric in November 2014. 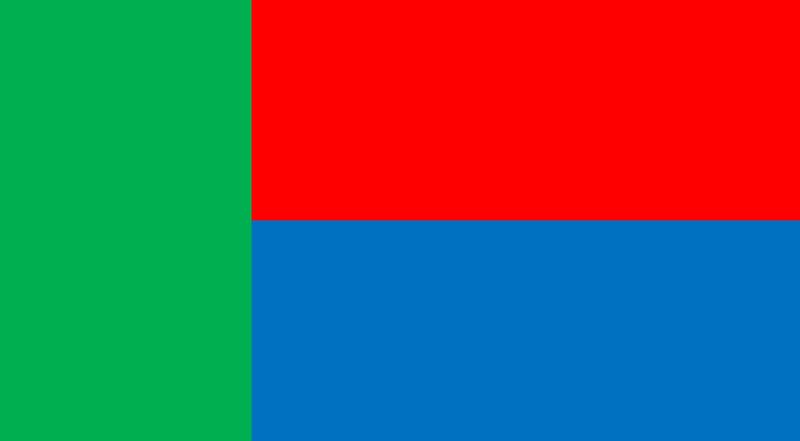 In the Siroccan language, it is known as 'en Trirfaub', literally 'the three colours'. Green represents the environment, and Sirocco's host nations of New Zealand and South Africa. Red represents strength, unity, and valour. Blue represents the economy and people of Sirocco. Some have suggested that in the future a new flag may be designed for Sirocco, possibly utilising the Cambrian Cross. Opinions are divided, and 'en Trirfaub' will likely grace the flagpoles of the nation for some time yet. Sirocco's national animal is the numbat. A marsupial found in Western Australia, it is a peculiar choice for a micronation that has not had territory in Australia since 2011. It was chosen for its uniqueness, and to highlight its endangered status. 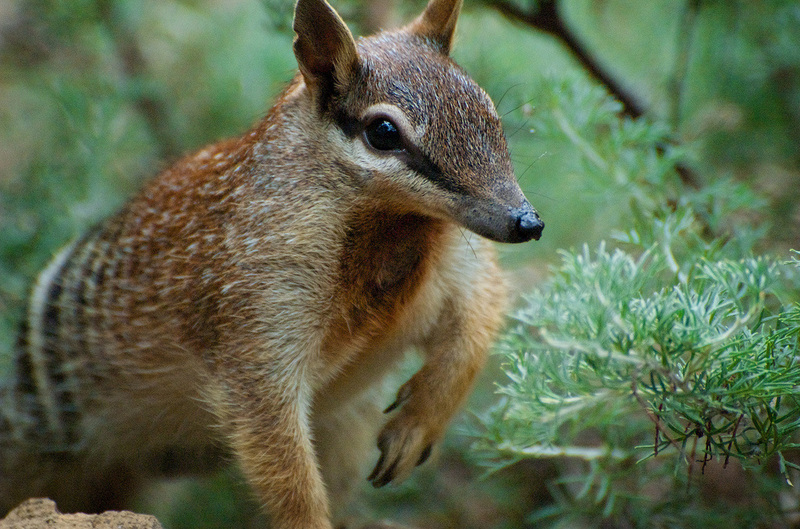 A numbat also featured as a main character in a Maran-era comic strip. Sirocco's national bird is the kingfisher (sacred kingfisher pictured). These birds are found across New Zealand, and are often observed in Sirocco's northern provinces. 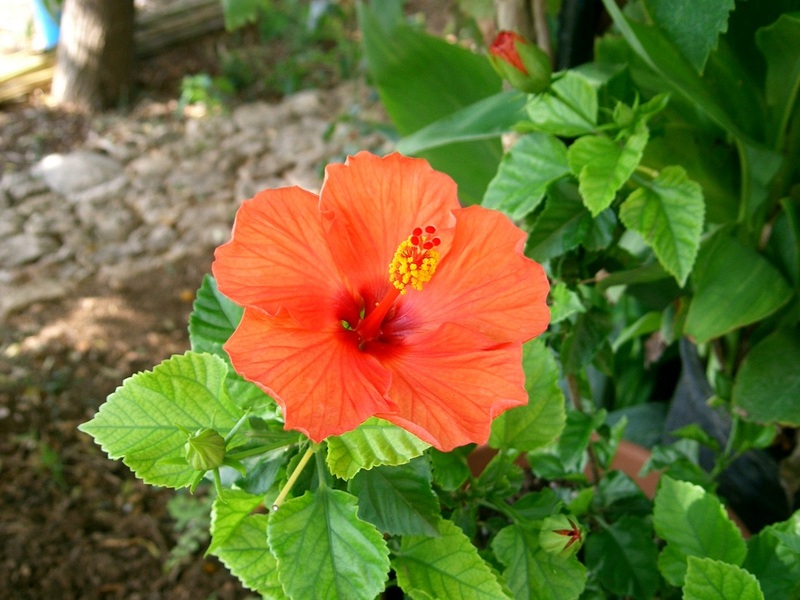 Sirocco's national flower is the hibiscus. A staple of tropical destinations, the hibiscus is found in a number of places across northern Sirocco, and has historically featured on former coats of arms and currency. Sirocco's national anthem is Manhattan Spiritual, by British band-leader Reg Owen. Chosen for its pleasant melody and compilation in the late 1950s, the song was adopted on Trinity Day 70 (16 July 2015), replacing Shelter, by Australian artist John Williamson, adopted in late 2010. Numbat, Kingfisher and Hibiscus pictures courtesy Wikipedia. Manhattan Spiritual courtesy YouTube.